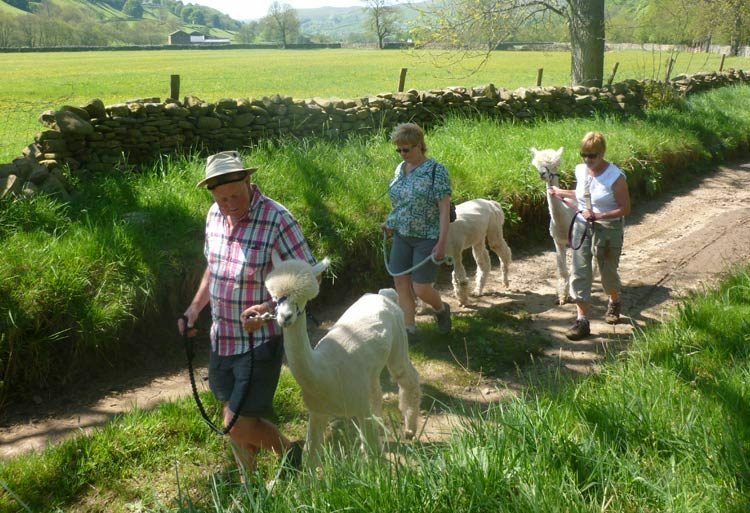 Alpacas are domesticated versions of vicuñas, South American ruminants that live high in the Andes and in the beautiful village of Low Row in the Yorkshire Dales. Alpacas are related to the llama, which is a domesticated version of another wild Andean ruminant, the guanaco. While llamas are used as pack animals, alpacas are raised mainly for their soft wool. There are no wild llamas or alpacas. They graze in herds at heights of between 3,500 m (11,500 ft) to 5,000 m (16,000 ft) in the Andes. On first arrival, you get to meet the alpacas and say hello. We will then take them for a gentle stroll through the pastures of Low Row in Swaledale and then back to their home where you will have an opportunity to feed them and take a selfie with them. They are very sociable animals. Alpacas make some rather strange sounds one being a hum like “mmm”. They also shriek when danger is present, and make a sound similar to a “wark” noise when excited and fighting males scream, making a warbling bird-like cry. short level 30 minute stroll along the village pasture. A steeper 90 minute trek with expansive views. 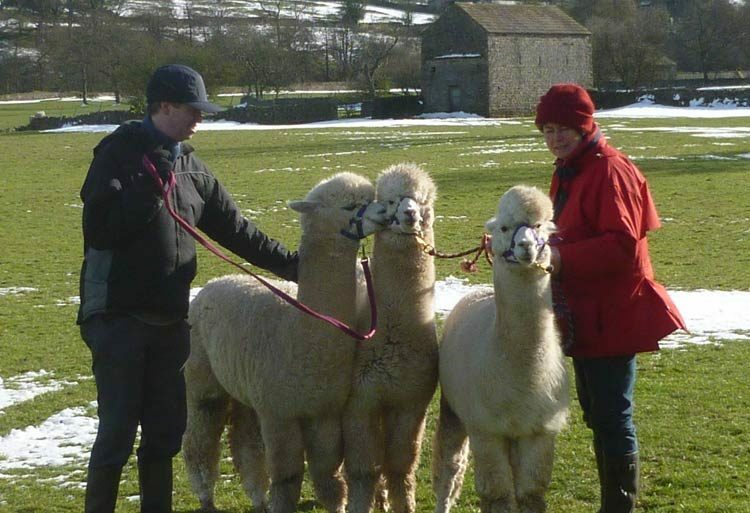 Our alpacas are friendly and well natured, and are sure to be a hit with the younger members of your party. What do we do with alpaca Fibre’s? 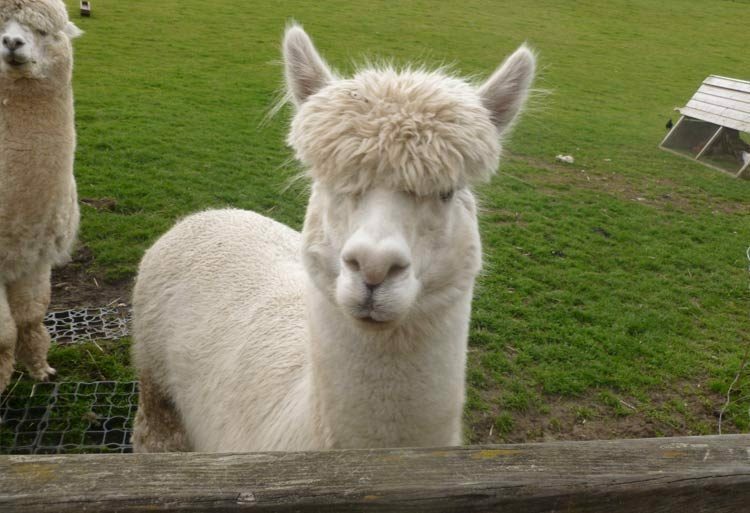 Our alpacas get a haircut once a year and we send it to UK Alpaca (ukalpaca.com) which they use it to make clothing. Alpaca fur is very soft and does not retain water. It is also very durable. What do our alpacas eat? In the summer, they graze in the fields around Low Row and in winter, we feed them hay and mineral feed. They have full use of a barn to shelter in from the elements all year round. Yes, when they are distressed or feel threatened. They will sometimes spit at each other when they are competing for food or trying to establish dominance so you may get caught in the crossfire!